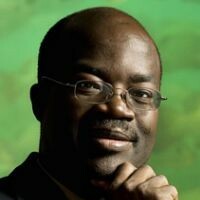 Dr. Ussif Rashid Sumaila, Professor and Director of the Fisheries Economics Research Unit at UBC’s Institute for the Oceans and Fisheries (IOF) had been awarded the President’s Award for Public Education through Media. This award celebrates the active and creative sharing of research expertise through the news media. Dr. Sumaila specializes in bioeconomics, marine ecosystem valuation and the analysis of global issues such as fisheries subsidies, IUU (illegal, unreported and unregulated) fishing and the economics of high and deep seas fisheries. His pioneering research challenges the core tenets of economics, prompting a rethink of the basic objectives of society with regards to oceans and fisheries. A prolific researcher, he regularly communicates with the public through print, broadcast, and online media interviews and expert commentary, as well as through social media.